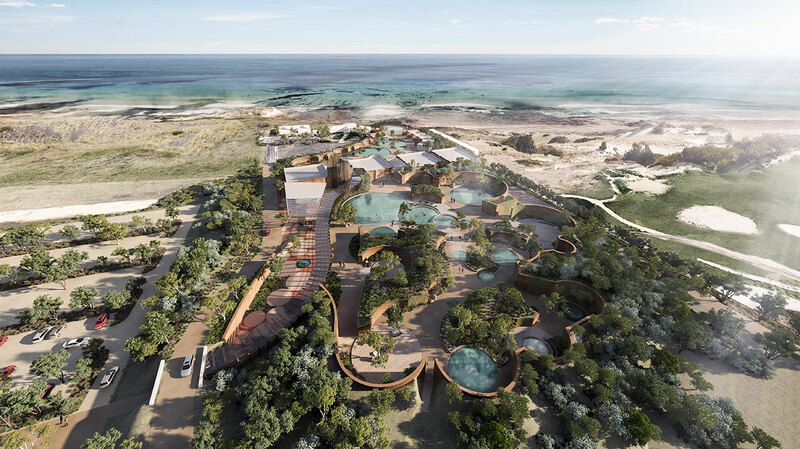 The Phillip Island Hot Springs Project is premised on a vision to promote relaxation, health and wellness within a spectacular coastal environment. 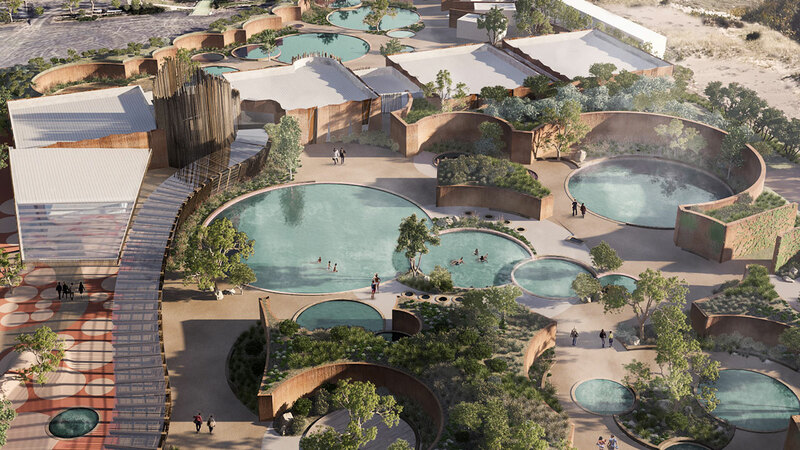 It will comprise over 45 bathing pools of varying sizes, day spa, treatment rooms and facilities within a landscaped setting. Delivering a year-round health and wellness facility to Phillip Island, it will complement the current mix of tourism activities on the Island. The project will provide a substantial boost to the local economy and will be available for the use and enjoyment of both visitors and the local community alike. Located on a site with an established restaurant (now trading as The Cape Kitchen), the land provides an excellent setting for both new and established for tourism and visitor uses. The site has spectacular views of Bass Strait and Western Port and is nestled within a coastal precinct of scenic and natural beauty. Phillip Island is recognised as a highly valued tourism asset for the State of Victoria. In addition to the Island’s natural scenic and environmental assets, it plays host to a number of events that draw international visitors. It is the home for Victoria’s strongest and most popular tourist attraction, the Penguin Parade, and it hosts a range of internationally recognised motor sports events. The importance of tourism generated dollars to the local economy is strongly acknowledged in State and Local policy as well as strategic studies undertaken by Council. With an estimated construction cost of over $10 million, this proposal represents an investment in Phillip Island that will provide substantial flow on benefits for the local, regional and broader Victorian economy. It fosters multi-season tourism that will complement the current range of accommodation and other resort facilities on the Island and in Bass Coast Shire. Tract’s town planning, landscape architecture, urban design and 3D and Media team worked together to achieve the planning approvals for this project. 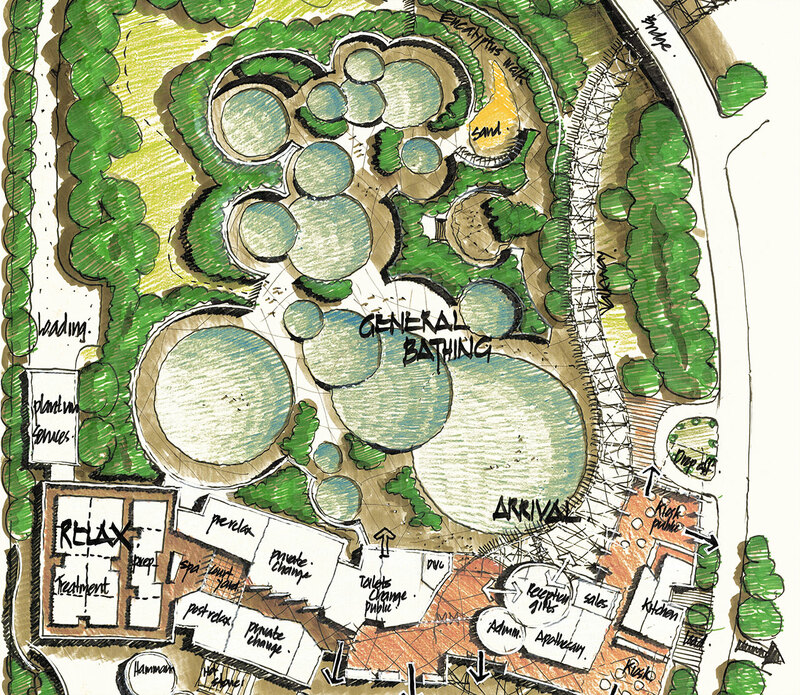 From project inception, Tract’s town planning team provided high level strategic planning advice, coordinated a stakeholder engagement process and prepared a detailed planning permit application that achieved approval in November 2015.The masterplan for the site was a collaboration between Tract’s design team, and landscape architects, ensuring an appropriate and site responsive outcome was achieved. Tract’s media team provided high quality 3D imagery that assisted stakeholders and the community in appreciating the scope and scale of the proposal. Before and after photomontages were prepared that accurately modelled the proposal from key viewlines in accordance with VCAT technical requirements. Highly detailed and illustrative 3D renders presented a complete picture of the proposal and showcased the proposal from an aerial view. This would be a sensational addition to an already awesome holiday destination!! This will be a fantastic activity for tourists and locals alike! Can’t wait! 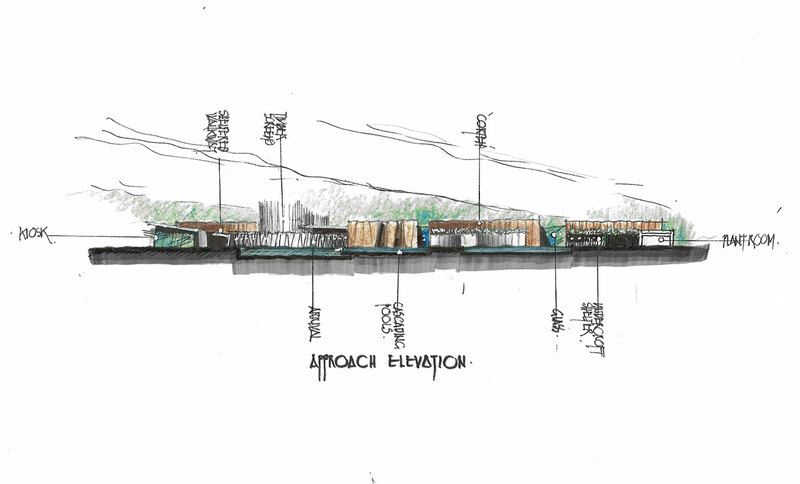 This would give the entire island a massive boost, bring it on…sooner the better! I was born here and I believe this would the best development Phillip island has ever seen. very good idea will bring a lot of benefit to the Island ! What a beautiful way to enhance an already beautiful part of the island. Looking forward to this becoming a reality. Perfect. I can not wait. Please book a room for my self and hubby now. Love the island, this would be amazing! I have just learnt about this project… Such a wonderful asset to the island – this will now be a place to go for a girls weekend OR when the boys are at the track for racing.. I wish you all the best and hope (I’m certain) it will be well supported. Congratulations! Can’t wait, a welcome addition for winter visits?